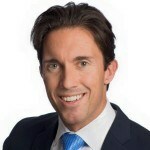 I am pleased to announce the latest member of IBM’s Social Consulting practice, Andy Jankowski. Andy has joined as our North American lead and brings with him a wealth of experience to the team, and to IBM. I’ve known Andy since we met at the Pivot Conference in New York in October 2012 when I was the CEO of Kred and presenting on the topic “from likes to leadership”. When we met we had an immediate meeting of the minds, and were in wild agreement about the power of social deployed deep inside organisations. At an event where everyone was talking about social media, Andy was instead focused on enterprise social as a set of tools and processes to change the way people work, enabling them to more effectively meet business objectives, and he continues to do so today. Below is a tweet I found from the event from Andy. As a result of our initial meeting in 2012, we stayed in touch, hoping that one day we would get the chance to work together. I am delighted that today is the day! Andy has spent the last of 20+ years in management consulting at companies such as Accenture, Ernst and Young and Oracle, advising senior executives at Fortune 500 companies to address their enterprise communication, collaboration, innovation and knowledge sharing challenges. He is known for his view that the primary benefits of “enterprise social” and “enterprise collaboration” come from these tools and processes being used to transform companies from the inside out, focusing exclusively on business objectives, outcomes and new, better ways of working. Andy’s views have been picked up by a number of media outlets. In 2013, Forbes picked up on his views (see “From Inside Out, Speed Your Company’s Social Transformation”) and they continue to be discussed today (BBC News: “Online Chatting at Work Gets the Thumbs Up from Bosses”, Forbes: “How Employers And Employees Collaborate To Create Better Work”). For our clients, Andy’s experience consulting to the c-suite of Fortune 500 companies makes him a perfect fit for the social consulting team. Who Leaves Their Own Company? Andy comes to IBM after starting and growing Enterprise Strategies, a digital strategy consulting firm specializing in helping executives understand the value of social, collaboration and new ways of working, in context of their specific industry and business. His company created the strategies for, and delivered these types of large-scale business transformations at clients such as Aon, AIG, Marsh Inc., Grant Thornton, Allianz Global Assistance, and Guardian Life, XL Group as well as several others. I write this after Andy and I spent the week in New York. While in town, we had the opportunity to meet some of Andy’s past clients. Each one inquired about the move, and when they pressed for why, his answer turned into a dissertation on the importance of analytics and cognitive computing, and his excitement for what IBM can do there. Andy is frequent keynote speaker and has spent much of the last 10 years in executive boardrooms presenting on the topic of how companies can leverage social and collaboration technologies to transform the way business is done. Now that he is at IBM, you can expect more of the same, only now being able to bring to bare some of the world’s top technologies as well as the capabilities of 420,000 of his new closest friends. Please join me in welcoming Andy to a team that has an impressive global capability to transform the way clients work. Who leaves their own company? Heres an insight to the high flying team that @AndrewGrillis building @IBMSocialBiz https://t.co/Dww6ufd5Rb ?? Who leaves their own company?Heres an insight to the high flying team that @AndrewGrill is building @IBMSocialBiz https://t.co/Dww6ufd5Rb ? ?